The fabulous designer & vintage clothing and accessory sale returns for its third smash year! Fantastic deals on thousands of items for both women and men – starting as low as $5 – designer clothes, shoes, jackets, shirts, blazers, handbags, hats, belts and more. Featuring: Prada, Chanel, Yves St Laurent, Balenciaga, Louis Vuitton, Hermes, Fendi, Gucci, Alexander Wang, Jil Sander, Marni, Giorgio Armani, Versace, Escada, Michael Kors, Etro, Ferragamo, Stella McCartney, Bottega Veneta, and more. 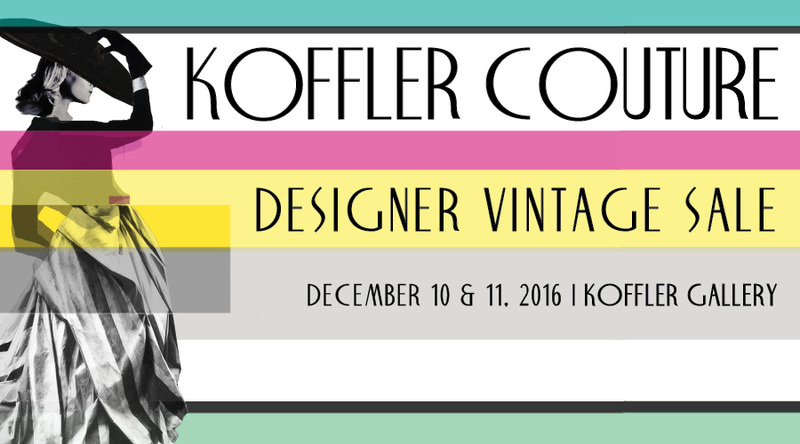 Koffler Couture is in support of the Koffler Centre of the Arts.